This is a fun alternative to the traditional reading log. 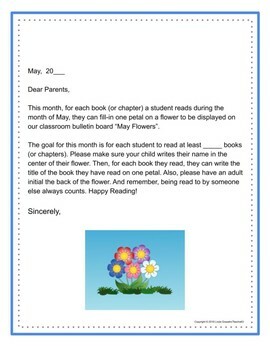 At the beginning of May, send home the included parent letter of explanation along with, depending on your student’s reading goal, 1, 2 or more copies of the flower outline. Explain to the students that for every book (or chapter) they read, they can write the title of the book on a flower petal. 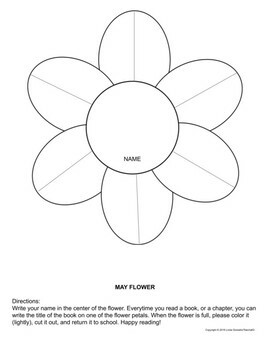 When the flower is complete, they can lightly color it and add it to the classroom display. 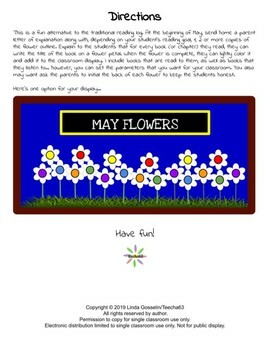 Parent letter is included as well as "May Flowers" lettering. 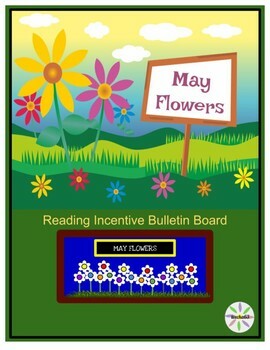 Use in conjunction with my "April Showers" bulletin board download to make an "April Showers Bring May Flowers" display.